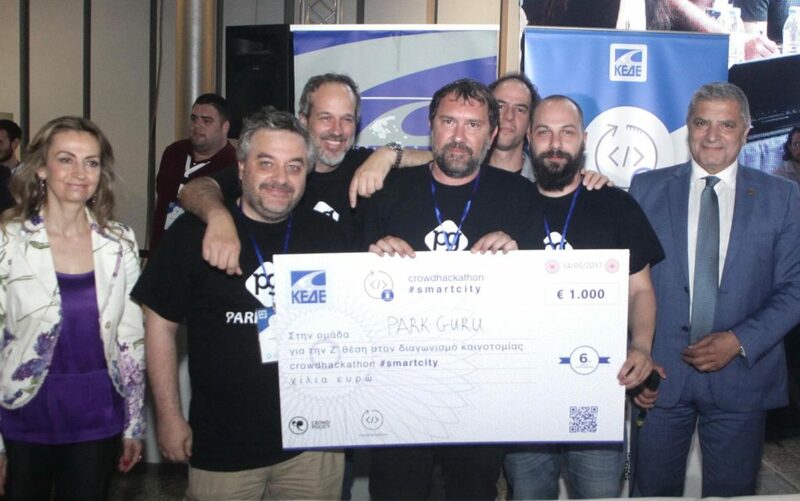 The PARKGURU team won the 6th prize, among 36 contestants for its innovative idea, at the recent Hackathon #Smartcity organized by KEDE on May 13-15. PARKGURU participated with five members of the Research and Development Division and created a prototype application that allows Municipalities to make available all their information, on the City’s controlled parking areas, and to connect with service providers that develop applications aimed at citizens seeking to park their vehicles. Through the “Smart On Street Parking” platform, Municipalities can share their parking zones and costs for their Municipality, while Service Providers and developers can access this data in the parking applications they provide to drivers. At the same time of developing the Cloud platform, the PARKGURU team developed 2 Mobile Apps, one for the user (vehicle driver who wants to park) and one for the parking controller. 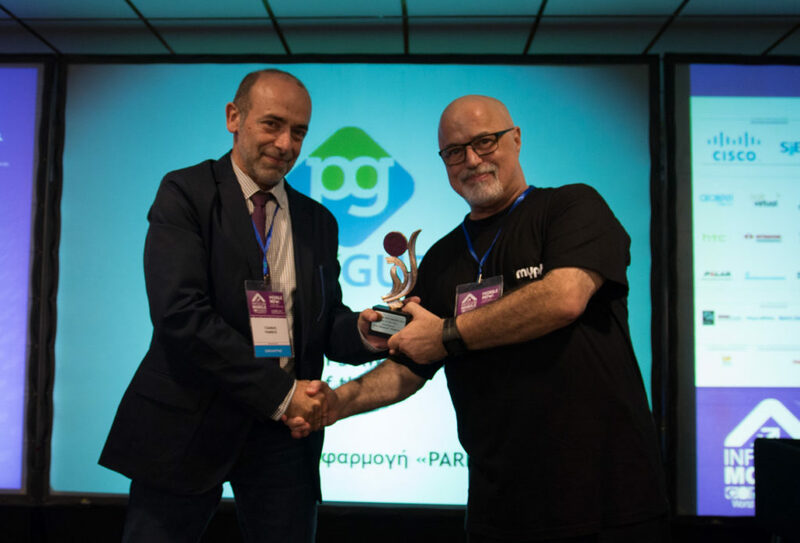 Yannis Zarifis, leader of the hackathon team and PARKGURU’s Application Development Manager, said: “We are proud for the award PARKGURU received at this Hackathon. The volume of work completed by our team within two days was huge, but today Municipalities have access to source code that is available, works and can be used to create innovative parking services for their citizens“. “We would like to warmly congratulate our team for the award and for the smooth implementation of the innovative idea of ​​Smart On Street Parking. 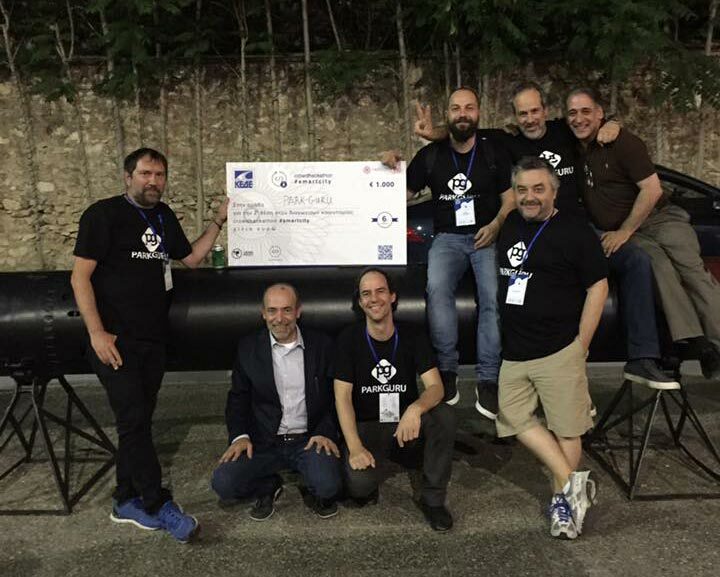 It is worth mentioning that our team has delivered a functional open source code, thus contributing to the idea of ​​Hackathon #Smartcity and the interest of Municipalities“, said Yannis Rampos COO of the company. 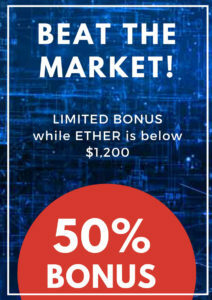 PARKURU Ltd (https://parkguru.com), is a new dynamic company with passion for technology and customer. Its team of more than 30 people has accumulated experience in the field of mobile cloud technology and parking. PARKGURU offers the most advanced parking service in the world today, approaching both the customer guide and the owner of the parking spaces in a way that improves the results for both. PARKGURU’s goal is international development, for which it has already set a strong foundation with the application to present today detailed information on millions of parking spaces located in Europe and North America. 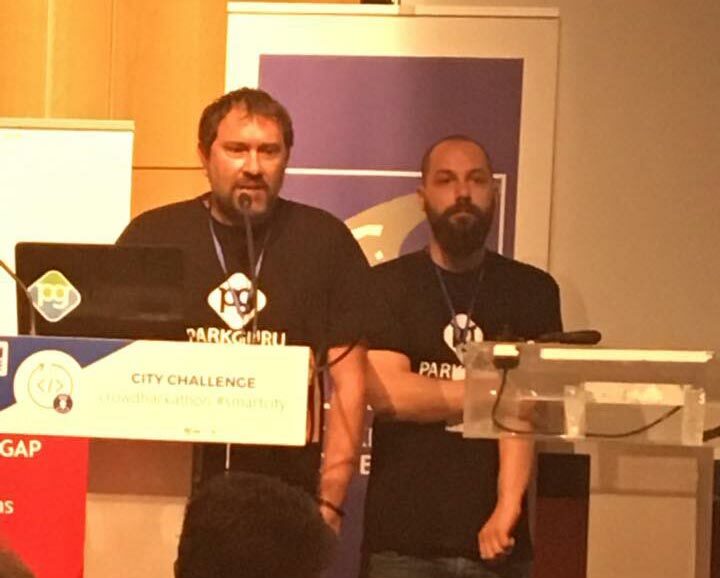 Part of the PARKGURU Research and Development Team participates in the City Challenge Hackathon(http://crowdhackathon.com/smartcity) organized by the Central Association of Municipalities of Greece (KEDE) on May 12, 2017. The goal of hackathon is to create prototype applications that solve problems that concern Municipalities and, by extension, their citizens. Under City Challenge Hackathon, the PARKGURU team will create a platform, specifically a marketplace, that allows Municipalities to “connect” with service providers and developers who develop controlled parking applications. Through the SOSP (Smart On Street Parking) platform, Municipalities will be able to import or control the zones of controlled parking (upload) via a simple graphical user interface, to determine the cost and time of stay and to have access to real-time System reporting data. Similarly, service providers and developers providing or deploying parking applications will be able to access through API (Application Programming Interface) the data that each Municipality has made available, to develop new applications or to include them in existing solutions. PARKURU Ltd (https://parkguru.com) is a young, innovative company driven by the passion for technology and customer satisfaction. Its team of more than 30 people has accumulated experience in the field of mobile cloud technology and parking. During the Mobile Connected World Conference 2017 and more particularly in the Mobile & Apps Awards section, PARKGURU was awarded the “App of the Year” for its innovation and completeness. The award was received by Mr. Yannis Ramphos, COO of the company, who said: “Today’s award honors and strengthens our commitment to solving the big problem of parking. PARKGURU’s team mission is focused on improving drivers’ daily lives by saving time while reducing parking costs. Through the PARKGURU App, as well as the other tools we provide to our partners (garage owners, municipalities, etc. ), we enhance their ability to cover unallocated parking spaces by increasing their revenue while helping cities reduce congestion and air pollution”. 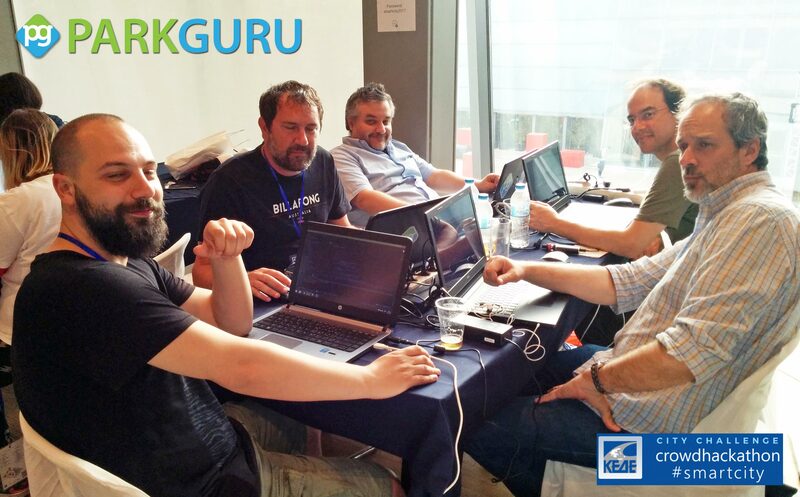 PARKGURU solves a chronic problem that exists in most cities, including Athens. It ensures drivers will always be able to park their car at the best prices. Using the app is very simple. Drivers download the application to their mobile, enter their destination and PARKGURU displays available parking spaces and their cost. The driver can pay through the application by using a credit card or cash at the parking station upon his departure. PARKGURU is a “smart” application that is constantly learning from the use of drivers. Combined with Artificial Intelligence and information from other sources (eg weather, holidays, etc. ), the App is able to suggest the best place to park their car. The app is available for free, via Apple AppStore for iPhone and Google PlayStore for Android devices. 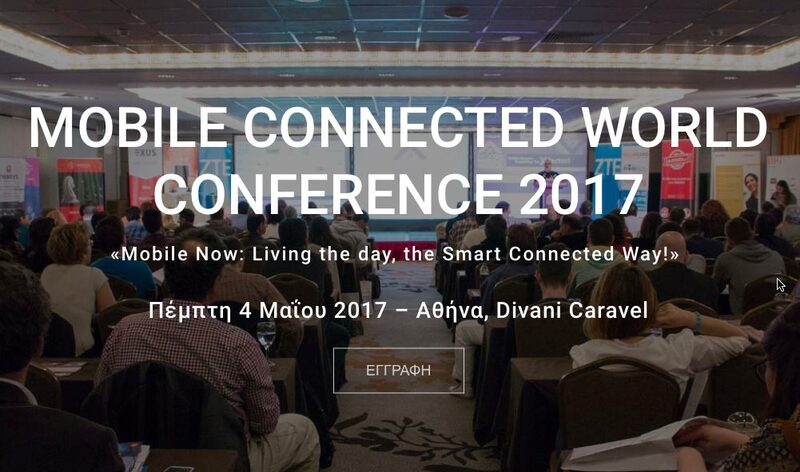 PARKGURU is participating at the 7th Mobile Connected World Conference 2017 (www.mwc.gr) which is taking place in Athens Divani Caravel Hotel on Thursday May 4th with main topic «Mobile Now: Living the day, the Smart Connected Way!». Mobile Connected World Conference attendees are executives from the Telecommunication and Information Technology market, mobile device manufacturers, technology and wireless infrastructure, business software development companies, financial institutions, technology-oriented investors, web and app developers, academics and representatives of young entrepreneurs. If you would like to join us, download the invitation here.